I was born in Quito, Ecuador. Even though my family was not very outdoors oriented, since I was a kid, I knew I wanted to become a biologist. This was especially clear after my first visit to the Galapagos Islands when I was eleven years old. Andrés Merino-Viteri in one of the iconic amphibian laboratories at the Balsa de los Sapos (Life raft for frogs) in Quito, Ecuador. 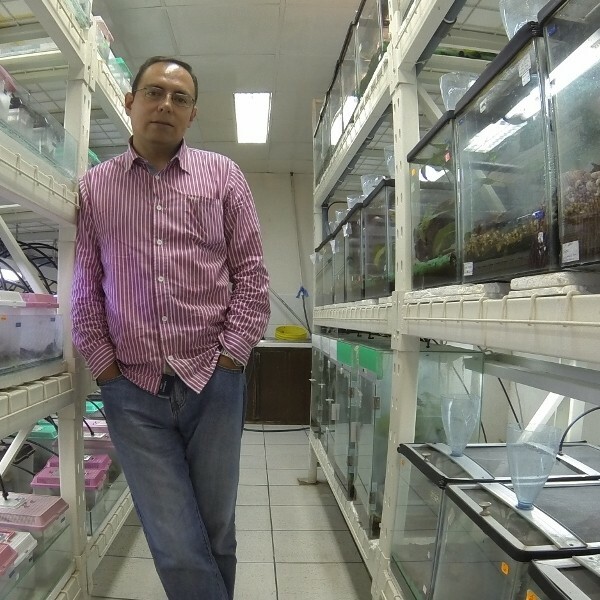 His love for amphibians came after taking a class with one of Ecuador’s leading herpetologists, Dr. Luis A. Coloma. I started my biology career at Pontificia Universidad Catolica del Ecuador (PUCE) in Quito, Ecuador in 1994, where I aspired to get my Licenciatura degree to study a postgrad on dolphin or whale biology. However, mid-career, I realized that what I really loved was studying ecology. To do that, I needed an organism to study. Around that time, I took a class with Dr. Luis A. Coloma, who is one of the best herpetologists in the country, and who I owe all my love for amphibians. He used to ask the students questions with no answers about Ecuadorian amphibians. We, the students, were usually very surprised that no one had studied so many basic topics before. One of those questions was “Why did the (once abundant and common) frogs from the highlands in Ecuador disappear during the 1980s?”. I decided to answer this ecological question, and it changed my whole future career. It was a real challenge to try to find answers, but after a couple of years, I was able to propose some possible explanations. In a way, I was the first person to identify Batrachochytrium dendrobatidis (chytrid) in South American frogs. After getting my undergraduate degree, I was offered a lecturer position at PUCE. I was also associated to the Herpetology Lab at the Museum of Zoology (QCAZ) from the university where I continued doing research on frogs that had disappeared from the Andes. I also traveled all over the country looking for anurans that had not been recorded since the 1980s. In 2005, along with Luis A. Coloma and Martin Bustamante (a university cohort colleague), we organized a public exhibit of live frogs to show the great Ecuadorian amphibian diversity to Ecuadorians. The exhibit named “SAPARI” (a created word related to frog and safari in Spanish) was a complete success in Quito. Lots of school students visited our natural jewels, and some of them are now our students at PUCE because of how impressed they were by the amphibians during that event. Our joint work, I am sure, will help to keep these amazing and beautiful animals for future generations. This exhibit was the seed for the Conservation Initiative for Ecuadorian Threatened Amphibians “Balsa de los Sapos” (Life raft for frogs). This initiative has five components, including improvement of human resources and infrastructure, field research and monitoring, public education, ex situ management, and publication of results. In the ex situ facilities, we take care of decedents of amphibian species threatened in the wild, including some harlequin frogs of the genus Atelopus. 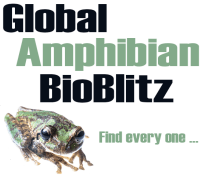 We have developed husbandry and breeding protocols for several of these amphibian species. Since 2011, after returning from my PhD research in Australia, I have been in charge of the Balsa de los Sapos. In recent years, the Balsa has continued with its commitment to conservation, however, it has also increased scientific research on the frogs being managed in the Balsa. Research on developmental biology, ontogeny documentation, and action against pathogens from skin secretions have all been supported by the Balsa. In collaboration with Doñana Biological Research Station from Spain, we have also started a new research program to gather ecophysiology parameters in order to provide an accurate and complete assessment of how changes in the climate and microclimate may affect the amphibian species along Ecuador’s mainland. I believe climate change is having, and will continue to have, important effects on wild amphibian populations. 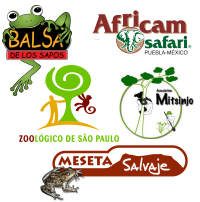 Finally, the success achieved by the Balsa de los Sapos initiative is not based in the work of one person. It has been the accumulated effort of a team that has changed since 2005. It is important to thank the support given by PUCE to keep the project’s personnel and facilities since 2005, and all the people involved, in many different ways with the Balsa. Our joint work, I am sure, will help to keep these amazing and beautiful animals for future generations.